[Free Pattern]This 12 inch Afghan Block Is Amazing! [Free Pattern] This Spa Soap Coat Is A Perfect Little Giftie! 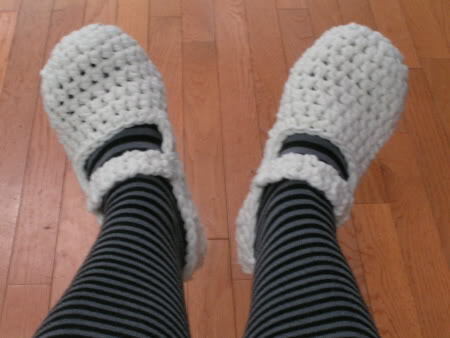 This must be one of the fastest ways to make a lovely pair of slippers! These 20 Minutes Mary Jane Slippers by Lydia are so cute and perfect to wear around the house! The pattern is so simple and they are so adorable and quick, you can start making lots of pairs immediately and offer them as gifts because literally, everyone you know would want one of these fast and easy Mary Janes in 20 minutes. Thanks to Lydia the Strange for the article inspiration and featured image. I tried to make these, did not work out too well.